Czytelnia Sztuki z ogromną przyjemnością prezentuje swoje najnowsze wydawnictwo. Czytelnia Sztuki has a great pleasure to present their new publication. Publikacja na którą składają się fotografie Rafała Milacha oraz teksty Huldara Breiðfjörða jest podsumowaniem wspólnej podróży obu autorów przez Islandię. This beautiful composition of Rafał’s Milach photographs and Huldar’s Breiðfjörð text is the summary of both artists’ journey by Iceland. Rafał Milach describes the book - This story is a personal road diary I have done together with Icelandic writer Huldar Breiðfjörð. We took highway #1 the only road surrounding Iceland and drove 1450km within 10 days. We didn’t care about either the volcanic eruption that took place few weeks earlier or the economical crisis that made Iceland bankrupt. It was a trip of a local with outsider and we both tried to learn of this place on our own. And we both failed coming back with more questions than answers. “In the Car with R” was already selected as the winner of the New York Photo Awards 2011 Jury’s Choice Prize, for best overall picture or series. 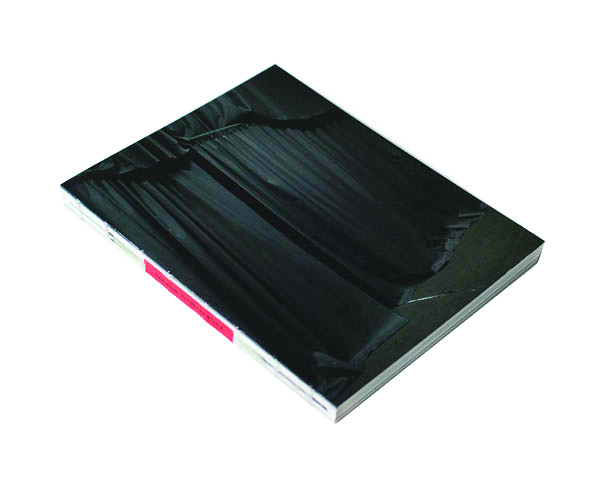 A dummy of the book was also given a Photography Book Now 2011 for the best documentary publication. niż udziela gotowych odpowiedzi na temat współczesnej Islandii. “W samochodzie z R” jest świadectwem odbytej podróży.